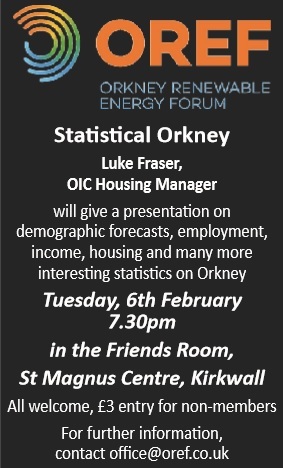 Come join us on the 6th of February for this month’s OREF meeting. 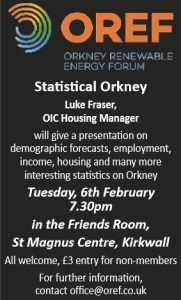 Luke Fraser of Orkney Islands Council has access to some remarkable datasets showing what has happened in Orkney, what is happening now and projects what is likely to happen. These are wide ranging from fuel use, to aging, to income distribution and SO much more. Come and see what we do know, so you can make your own (informed) choices.